29-year-old Satoru Fujinuma is a struggling manga artist who works part time as a pizza delivery man. But he has a secret ability which he names “Revival.” This ability allows Satoru to go back in time to prevent life-threatening incidents from happening. 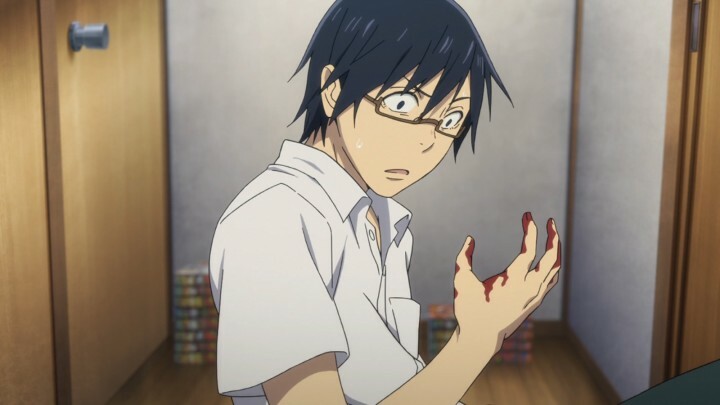 I’m really not a fan of ‘slice of life’ anime, unless they have some kind of twist to them that isn’t just the every day life of a student or working adult. 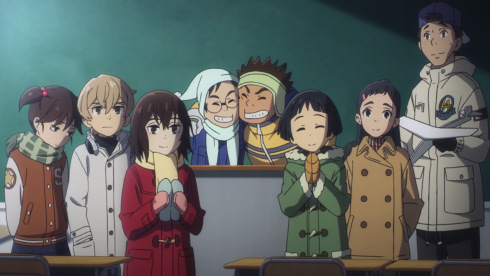 ‘Erased’ has that twist; time travel. And thankfully they reveal that twist really early on so I didn’t have to sludge through several episodes of daily life to get to that sweet sweet twist. Satoru also starts off AS THE MOST BORING CHARACTER THAT EVER EXISTED EVER, but he gets more interesting by the end of the first episode and his ability to use “Revival” really hooked me in and had me wanting more. I love theories about time travel and movies and books based on it cause I’m just that kind of nerd. 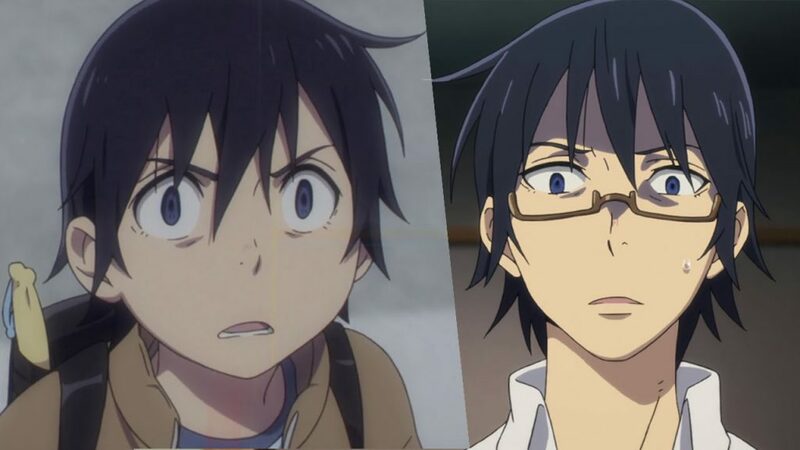 I was immediately interested in ‘Erased’s take on the ‘butterfly effect’ when it comes to time travel. In short, the butterfly effect is the scientific theory that a single occurrence, no matter how small, can change the course of the universe forever. So when it comes to time travel, simply saying hello to somebody can alter the course of history forever. Most people intentionally go back into the past to change specific outcomes – Satoru on the other hand doesn’t have a choice in the matter. He’ll see a butterfly made of blue light flutter past in his vision and then gets thrown back in time 1-5 minutes to fix a tragedy that’s about to happen. But he’s got no idea what the tragedy is or who it’s going to happen to. So the moment he realises he is in “Revival” he immediately starts looking for something that isn’t right around him. I enjoy that he doesn’t have a choice about that, so he’s not your typical protagonist who might see a crime then go back in time to stop it. He never sees the crime, he just gets shoved back through time to stop something. Satoru then gets shoved back in time 18 bloody years to stop a series of murders happening to children in his neighboured. And he does his best to change the past to fix the future, but finds himself accidentally repeating the same steps of his pas. Or despite his best efforts, time ignores him and flows around him, resuming it’s original course. Satoru goes from a character you couldn’t give two craps about to somebody you pray not only makes it out ok, but changes the seemingly inevitable too. 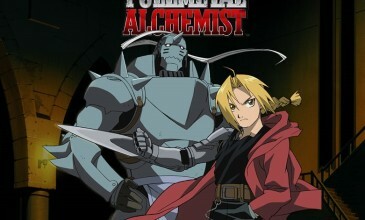 This disc includes Episodes 1-6, and runs for a total time of 150mins. Comes in both Japanese with English subtitles, and English dubs. 1080p HD. Audio Commentary, Textless Opening and Closing themes (freaking love both of the opening and closing songs too), and the promo videos.